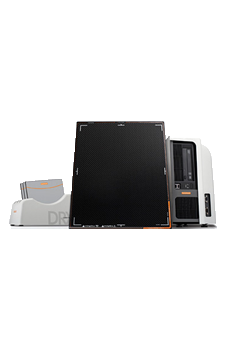 offers great flexibility and provides exceptional imaging capability at cost-effective pricing. Quantum's state-of-the-art radiographic System is comprised of the QS-500 Tubestand; Verti-Q Vertical Wall Stand; and a selection of Radiographic Tables. 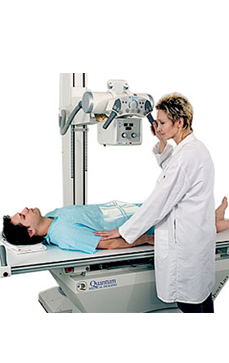 The use of Quantum's Ultra High Frequency generators deliver near constant potential power for optimal imaging. Utilizing the most advanced electronic and software technologies, these x-ray generators provide significant advantages. All Quantum generators are standard with Anatomical Programming Radiology (APR), specifically designed for routine and specialty views. An easy menu driven process produces superb images with minimal operator intervention, allowing the attention and focus to remain on patient safety and comfort. Quantum's Floor-Mounted Systems are designed for high patient volumes within Hospital Radiology Departments, Imaging Centers, Orthopedic Facilities, Surgery Centers, and Urgent Care Clinics. Quantum's Q-Rad Floor mounted systems are feature-rich and provide full positioning functionality. 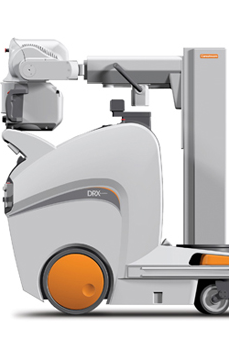 The advanced features and unique design aspects of the system allow the technologist to fully concentrate on the patient during the examination, providing the highest degree of image quality and patient care. 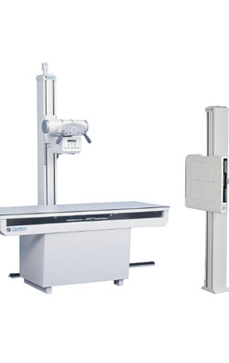 Quantum's Ceiling-Mounted Radiographic Systems are designed for hospital emergency rooms, imaging centers and orthopedic facilities which demand not only high quality, but also maximum flexibility, in order to accommodate all types of imaging exams. Q-Rad systems are not only aesthetically pleasing, but designed with input directly from technologists. 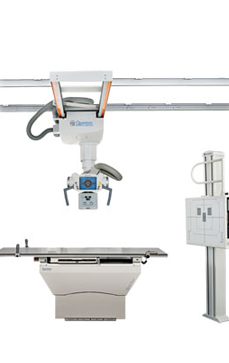 Q-Rad Ceiling Mounted Systems use a 5-tiered telescoping column with expansive overhead horizontal and transverse tracks to provide for complete flexibility and virtually unlimited imaging procedures. With an optimum ceiling height of 9', even standing knees on children can be easily imaged. 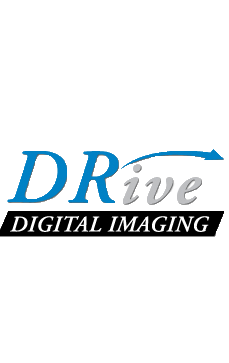 “DRive” is a fully featured, very economically priced, DR upgrade offering. Offering a 17”x17” fixed panel and 14”x17” tethered panel solution as well as a dual detector offering (fixed, tethered, or a combination of both), with your choice of Cesium Iodide or Gadolinium Oxysulfide detectors.